In a rare opinion reversing a judgment as a result of a trial court’s evidentiary rulings, the Supreme Court of Texas overturned a plaintiff’s judgment in a traffic-accident case because the trial court had excluded evidence that a person’s fatal injuries were caused, at least in part, by her own mental health. 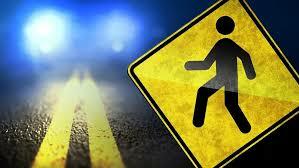 A pedestrian died after being run over by an 18-wheeler near an intersection in San Antonio. Her family sued the trucking company and the truck driver. The case was tried to a jury, which allocated 50% of the responsibility to the truck driver, 30% to the trucking company, and 20% to the deceased pedestrian. At trial, the defendants sought to introduce evidence of the pedestrian’s mental health and possible impairment, including an autopsy, medical records, recent prescriptions, and expert testimony, to support their defense that she negligently walked into the road outside the crosswalk when a large truck was moving toward her. The trial court excluded that evidence under Evidence Rule 403, holding it would evoke unfair prejudice that would substantially outweigh its probative value. The family presented opinion testimony attributing the decedent’s decision to enter the street to her misunderstanding the truck driver’s hand gestures to another vehicle’s driver as a signal for her to cross the road. Additionally, there was evidence the truck driver did not see the decedent because he was distracted by the other driver and the truck had a blind spot near its right fender. The trucking company, in addition to being responsible for the driver’s negligence, was found directly liable for negligently training the driver concerning the blind spot. A divided court of appeals affirmed the judgment, holding the trial court’s exclusion of the mental-health evidence was not an abuse of discretion. In the Texas Supreme Court, both defendants challenged the exclusion of evidence, and the trucking company argued it was erroneously held liable for direct negligence in addition to its respondeat-superior liability for the driver’s negligence. The Court acknowledged that evidentiary rulings are reviewed for abuse of discretion. It reiterated, however, that relevant evidence is “presumed to be admissible,” and the test for excluding evidence under Rule 403 is whether its “probative value is substantially outweighed by the danger of unfair prejudice.” Quoting its 2018 Diamond Offshore opinion, the Court reiterated that “unfair prejudice … means an undue tendency to suggest a decision on an improper basis, commonly … an emotional one.” After reviewing the proffered evidence in the context of the parties’ positions and the admitted evidence, the Court concluded exclusion of the mental-health evidence was an abuse of discretion that was not harmless error because the evidence “likely would have affected the jury’s allocation of responsibility.” The Court’s explanation is destined to be quoted by parties seeking to justify admission of challenged evidence: “Absent the excluded evidence, the jury was not properly informed in making its decision. It had to judge [the decedent’s] decision-making and actions after having seen and heard only a limited, filtered version of the evidence as to those processes and actions.” The case was remanded to the trial court for further proceedings. The Court reversed and rendered judgment for the trucking company on the “direct negligence” claim, finding legally insufficient evidence of negligent training. The Court—as it has done in previous cases--declined to resolve the propriety of submitting a jury question on an employer’s direct liability for “negligent training and hiring” when the employer does not contest its vicarious liability for an employee’s actions.